UNTV is proud to present A Song of Praise Music Festival (ASOP) as the first ever song writing competition on Philippine television for praise songs that aims to bring back to the lives of people what seems to be lost and forgotten – giving thanks and glory to God amidst all the trials and hardships that many people face day by day. 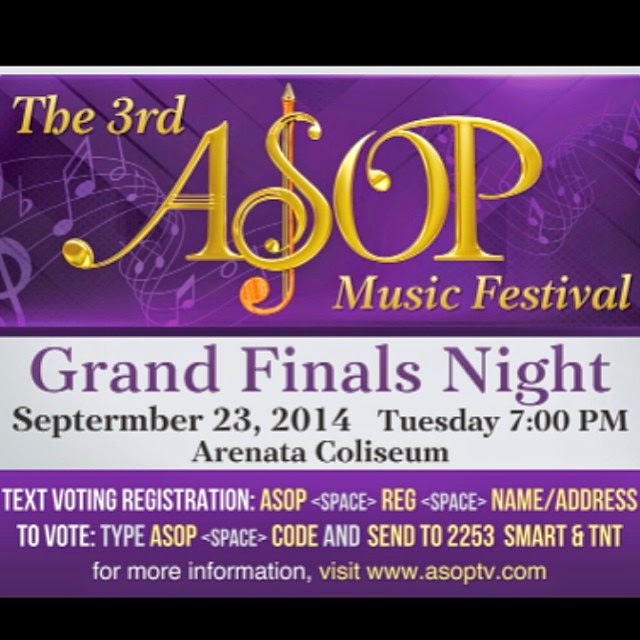 On its 3rd year, A Song of Praise Music Festival (ASOP) is staging its Grand Finals night on September 23, 2014, 7pm at the Araneta Coliseum. This event will be hosted by the fun tandem - OPM premium balladeer Richard Reynoso and veteran TV host Toni Rose Gayda. A brainchild of no less than Mr. Public Service himself, Daniel Razon, ASOP has been a venue not only for professional songwriters but also for aspiring and budding composers who have their own stories to tell through their songs and musical talents showcased year round. 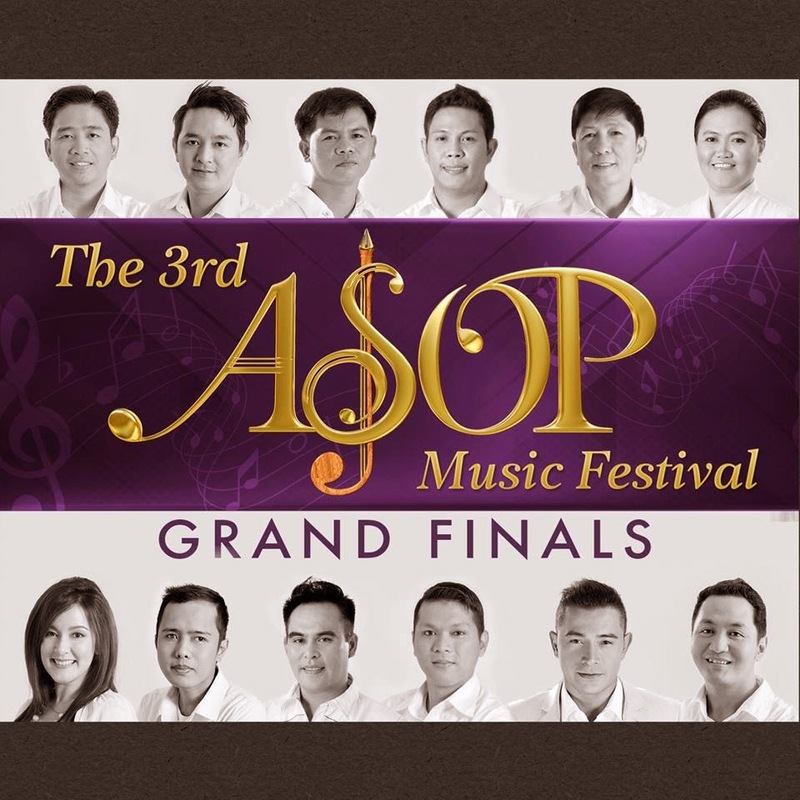 ASOP has already produced three albums (one each year), each featuring twelve (12) originally composed praise songs that emerged victorious in each of the twelve months from September to August interpreted by the most sought-after artists and big names in the local music scene. Going international, being seen on UNTV 37 with live streaming on www.untvweb.com, and heard over UNTV Radio La Verdad 1350 Khz, ASOP has been receiving song entries from key cities in the Philippines and overseas. Aside from cash prizes to the weekly and monthly winners, the program gives all contestants free songwriting tips from authorities in the field of music. In the 1st year grand finals night, Senator Vicente “Tito” Sotto III was the chairman of the board of judges and Joey De Leon chaired the panel last year.